"Economists have all kinds of jobs, such as professors, government advisors, consultants, and private sector employees. Using theoretical models or empirical data, they evaluate programs, study human behavior, and explain social phenomena. And, their contributions inform everything from public policy to household decisions. Economics intersects many disciplines. Its applications include health, gender, the environment, education, and immigration. You can check out the field’s classification system (called JEL codes) for more topics that economists study." - American Economic Association. Undergraduate degrees in economics most often lead to employment in accounting, auditing or bookkeeping (22 percent), management (14 percent), sales and marketing (11 percent) and insurance, securities, real estate and business services (11 percent). Experienced workers aged 35–44 with an undergraduate economics degree, but no advanced degree, had median annual earnings in 2011–12 of more than $80,000, which is high compared to graduates of other majors. Students who pursue further study after obtaining an undergraduate degree in economics most commonly enter MBA or law programs. Why Economics? 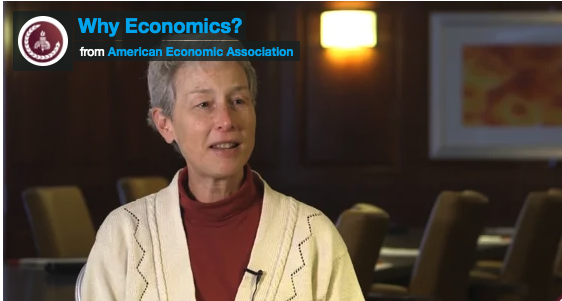 from American Economic Association on Vimeo. 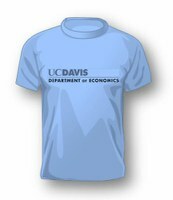 The principal goal of undergraduate economics education is teaching students how and when to "think like an economist," as economics scholar and author John J. Siegfried observed. Graduates understand that scarcity drives our decision making. When presented with a question, they have the tools to weigh the alternatives and make well-informed decisions. Rigorous mathematically based analysis of models and the testing of theories using data are the key tools learned in a B.A. program in economics. Graduates may apply these tools to business, policy, government and other types of organizations given the great variety of occupations open to graduates in Economics. In the incredibly fast-moving global economy, economists are needed to make sense of consumer decision making, market interaction and the impact of government intervention.